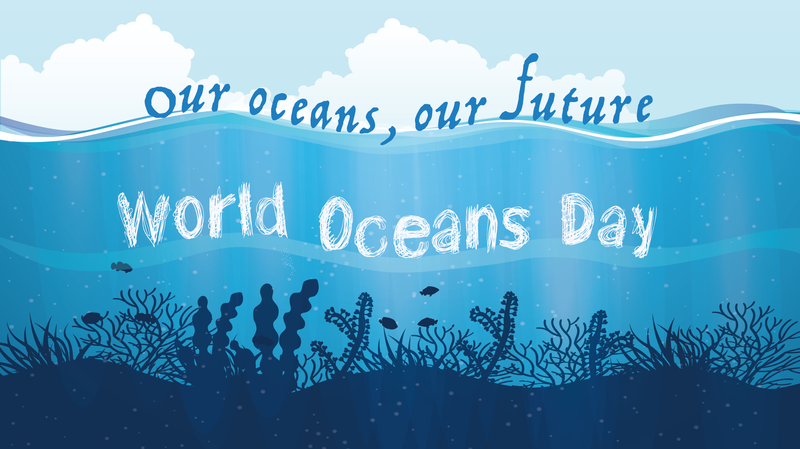 World Oceans Day serves as a celebration of our oceans, which generate most of the oxygen that we breathe, feed us and regulate the planet’s climate. The day also serves to promote the oceans’ contribution life and the need to protect it from harmful pollution, overexploitation, destructive fishing and climate change. Unfortunately, as a result of human pollution and exploitation, the world’s oceans are becoming increasingly delicate. In 1992, the Government of Canada proposed World Oceans Day at the Earth Summit in Rio de Janeiro. By 2002, the Ocean Project, a non-profit organization dedicated to conservation of the planet’s oceans, began to promote and coordinate the event on a global scale. Finally, in December of 2008, the United Nations General Assembly officially proclaimed June 8th as World Oceans Day. Our oceans are essential to our planet’s future, but human activity and contaminants from people continue to threaten marine environments. Scientists have found that people-made carbon dioxide (CO2) is changing seawater chemistry, and pollutants are not only harming ocean life and marine environments, but many are making their way through the food chain onto our dinner plates. How do scientists know this? They are getting down to the atomic level: with cutting-edge nuclear and isotopic techniques, they are tracking and studying certain atoms to investigate chemical, biological and other processes related to the ocean and stressors on the ocean like contaminants and human activity. For World Oceans Day, we have highlighted a few ways that nuclear science and technology are helping us to protect our ocean and our planet.